Finally able to fish after an international trip, flooding, rain, rain, rain, cold temps, and 2 straight nights without so much as a hit!!!!! very frustrating but today it was sunny, and the creek was clear....within 15 minutes had two carp and less than 30 minutes later, another, then 2 more at the end of the day! !.....total 4/8, 13/0, 12/8, 11/0, 10/0.....nice when you can run a stretch over 10lbs! !.......though can't get a stretch over 20s!!! Hi all!! What a day! !....but not at first.......drove the 3 and a half hours to St. Louis for some fishing and relative visitin!-the weather was fabulous at 68F!!. (started at 39F though)..wife and one son (both CAG members ) went along-so excited!! !.....After 4 hours of NOT ONE FISH except two tail- snagged big-head carps, we finally started a near-furious bite! !.....I had tried boiled corn, strawberry panko, sweet corn, oat panko and nuthin!....and then, the action started....AND MY WIFE CAUGHT HER FIRST CARP!- PLAYED IT LIKE THE PRO SHE IS!- It wrapped the dock post, but freed itself and voila!- landed this nice 5lb 9ozer! !.....A proper CAG initiation! !.....After that, my son wanted his second, and within minutes caught......well....I'll have him make his first post! !...so proud of both!!! see my other post about my wife's first carp!!! What a nice day! !....traveled the 3 and 1/2 hours to St. Louis to fish under clear skies and an afternoon temp of 68F!! !......Fishing was non-existent for 4 hours!!! !- 4!!!!!!!!!!! !, very disappointed had my wife and son (both CAG members)....very frustrating!-notta on sweet corn, strawberry panko, oat panko-nuthin!....and then!! viola, two small tail-snagged big head's (one here- ehhh/ugghhh), and one after another common carp!........started with the 8lb 10oz, followed by 6lb 6 (doubled with my son's 4lb 8ozer-he'll post his pics in a bit...), a fierce 5lb 12oz, then a 2lb 3 and 2lb 5- A total amongst us of 10 carp..8 of which were commons for a total of 38lbs!!... all the commons were caught over 2 and one-half hours....a nice, nice day! !...........Go CAG!!!!!! It is my pleasure to Announce that I will be taking of the reigns for the 2016 Midwest regional .The dates will be Saturday April 30 & Sunday May 1., more details to come soon. Here is the list of sponsors and supporters for the 2016 Austin Team Championship. Thank you so much to all that have stepped up to support, as well as the continued support of this great tournament. **Please strongly consider these companies and/or products the next time you need to make a purchase. We couldn't do this without them. ** Thanks again to all of you! There is a thread from a guy on our Trout Unlimited chapter website about catching a carp on a fly rod. He is from Calhoun, GA where needmotime2fish and I have spent many happy hours fishing for carp. I replied to his latest post and posted a link to the CAG website to see what it's all about. nmt2f, maybe we can get him to join in on our next fishing trip to Calhoun, GA. Hopefully, some of the others on our TU chapter website will look at the CAG link. Hey guys new to CAG just joined last night. 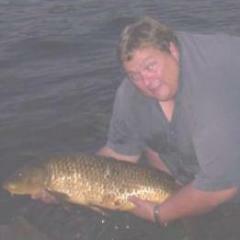 I've been carp fishing since last spring and was referred to this website by one of your members. I live in Macomb Township if anyone knows where that is. Any help with the website or fishing itself would be great. A description of what you guys do here would be great, too. Thanks in advance!